Does Shakespeare's Criminality Take Away From His Works? You are here: Home / Blog / Authorship Controversy / Does Shakespeare’s Criminality Take Away From His Works? Does Shakespeare’s Criminality Take Away From His Works? 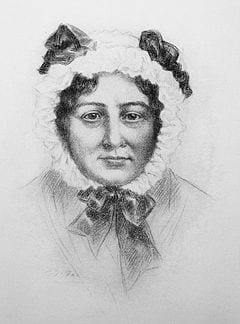 Mary Lamb (1764 –1847) is a well known female English writer, famous for one book – Lambs’ Tales from Shakespeare – a collaboration with her brother, Charles Lamb. Many writers have produced books that attempt to present Shakespeare’s plays for children during the past two centuries, but none has become as famous as their Lambs’ Tales from Shakespeare. It is old-fashioned in style, and there are far better introductions to Shakespeare than Lambs’ Tales, but it has never been dislodged as the top book of its kind and it is still a big seller. In September 1796 Mary Lamb stabbed her mother to death. That has not affected the reception of her book and, in fact, not many of its readers know about her crime. That raises the question of whether the work of a writer or artist or composer can be affected by criminal acts that he or she may have committed. Italian painter Michelangelo, considered one of the greatest of the old masters, was an out and out ruffian who seemed to care nothing about stealing, assaulting people – including law officers – and even killing. He was sentenced to death by Pope Paul V in 1606 after committing murder. One can see his paintings in the top galleries though, and marvel at their sensitive execution and their beauty. So when a group of academics claim to have discovered documents that show William Shakespeare to be a ‘ruthless businessman who exploited famine and faced jail for cheating revenue’, or even that Shakespeare was once arrested for poaching deer, these may be so but does it make any difference? French philosopher Althusser’s thoughts about ideology are no less valid for his having strangled his wife; Carlo Gesualdo’s madrigals and sacred music are no less sweet for his having killed his wife and her lover as they languished in bed. We never think about Oscar Wilde’s imprisonment for homosexuality when we are enjoying The Importance of Being Ernest. We could do worse than bake Martha Steward’s cookies in spite of her incarceration for insider trading and we can still swoon to Beethoven’s music in spite of his arrest for vagrancy, including his rowdy behaviour when they thought he was mad as he shouted ‘I am Beethoven!’ and locked him up. The point of the article about Shakespeare’s alleged tax dodging is to point to what appears to be hypocrisy in that the attitudes expressed in his plays seem to contradict his alleged criminality. But, as we all know, it is impossible to gauge his attitudes as the plays have their own lives. And as is evident from considering Caravaggio and Gesualdo, geniuses don’t have to be virtuous. Their art speaks for itself. https://www.nosweatshakespeare.com/wp-content/uploads/2014/10/Mary_Lamb_Portrait.jpg 324 240 warren king http://www.nosweatshakespeare.com/wp-content/uploads/2014/01/nss-logo.png warren king2014-10-19 17:31:082014-10-19 17:33:57Does Shakespeare's Criminality Take Away From His Works?